ASIA/PAKISTAN - Cardinal Coutts: "We are in a phase of hope: let us work together for peace in Pakistan"
Karachi (Agenzia Fides) - "We are living a phase of hope: this meeting is an occasion to spread the message of hope and work together for peace in the country. Peace will not come only thanks to a wish, but by working and building it together": said Cardinal Joseph Coutts, Archbishop of Karachi, who participated in an ecumenical gathering organized by the Christian communities in Karachi on the occasion of the new year 2019. As Agenzia Fides learns, speaking to those present, members of various Christian communities as well as other religious communities such as Muslims, Hindus, Sikhs, Parsis and Bahai, the Cardinal said: "We are all called to live in unity, if we do not know each other, we cannot live in peace and unity and our mission to spread harmony and reconciliation will be less effective". The Archbishop of Karachi quoted the founder of Pakistan, Mohammad Ali Jinnah, in his famous speech in 1947, when he reiterated that religious minorities are free to follow their religion and attend their places of worship in Pakistan. And he added: "This is happening. We see that today people feel freer and live in unity and peace". Cardinal Coutts expressed words of appreciation towards religious Muslims who play an important role in promoting peace and harmony in Pakistani society. Then he praised the armed forces and said: "Let us not forget police officers and armed forces, always active for our protection and maintain peace and law and order in the city during the Christmas season". Since the word "harmony" is his episcopal motto, Card. Coutts concluded: "We are all flowers of the same garden: my vision is to spread the message of this communion and to promote the message of peace and harmony in Pakistan and on a global level". 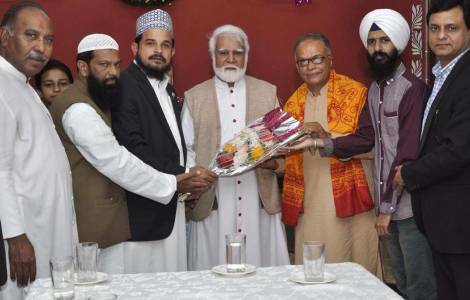 Retired lawyer Shahida Jamil, a Muslim leader present, appreciated the efforts of the Cardinal for the promotion of peace and interreligious harmony. Speaking to Fides, she said: "We are all citizens of Pakistan: the nation belongs to all its citizens, not to majorities or minorities".